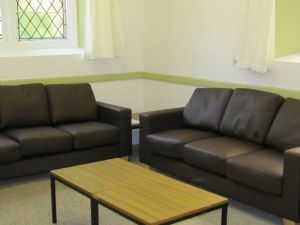 We have a range of rooms available for hire. Office - 21 x 13 ft. Contact us for more details. 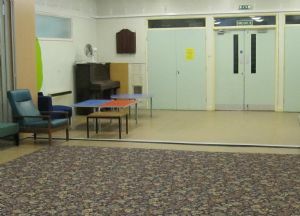 Upper hall (2016 sq ft). £16 per hour. Suitable for larger meetings, day conferences. Access to small kitchen area for tea making. 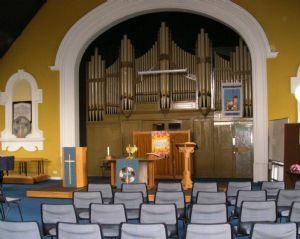 Lower hall. £12 per hour. Can be divided into two sections and let separately. Contact us for hire rates. Meeting room - 15 person capacity. Please note that neither gambling nor consumption of alcohol are permitted on the premises. Also, groups meeting on the premises must adhere to our policy on safeguarding of children, young people and vulnerable adults (or one which is equally rigorous).